We are a Finnish company specializing in outdoor adventure sports such as cycling, canoeing, triathlon, snowboarding etc. If you need someone to arrange a memorable sport/adventure-themed outing or excursion, we just might be what you are looking for. Canoeing / Kayaking / S.U.P. We primarily focus on trips for groups, but please ask about our services for individuals. Our price range is from 40 € to 100 € per person depending on the size of the group and activities chosen. Are you dreaming of competing in triathlon-, marathon-, multisport-, or cycling competitions? 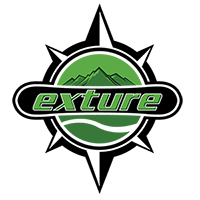 At Exture, we’re specialists in these outdoor sport activities and arrange Personal Training for individuals, couples, groups and families. We offer basic training using our own equipment and aim to get people interested in new sports. With knowledgeable guidance and high quality equipment you will feel the joy of success starting right from day 1.